Tony Plante and Tom Bell have joined the staff of the Greater Portland Council of Governments. Plante was hired as director of municipal collaboration. He previously served 22 years as the town manager of Windham. Bell joined the organization as director of public information. He worked as a reporter for the Portland Press Herald/Maine Sunday Telegram for 16 years. Most recently, he was an independent consultant at Tom Bell Media, where he worked on policy and political campaigns. 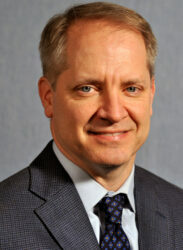 Charles Nadeau has joined James W. Sewall Co. as chief financial officer. Nadeau will oversee the financial management of both Sewall and its new owner, Treadwell Franklin Infrastructure Capital LLC. 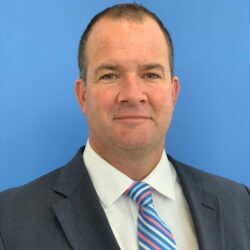 He brings more than 20 years’ experience, including serving as president and chief executive officer of the Maine Capital Group, and founder and president of Balance Point Management, both in Portland. Jeff Cobbett has joined Flyte New Media as a WordPress developer. Cobbett has been building and maintaining websites for more than 15 years. Tom MacKenzie has joined Jewett Construction as an estimator and project manager. MacKenzie, of Biddeford, attended the University of Southern Maine and earned a degree in construction management. 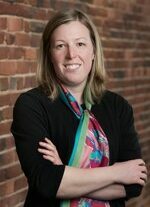 Allison Small has been hired as early college programs coordinator at the University of Maine. Small previously served as a regimental officer at Maine Maritime Academy. William Menke has been named an equity partner of Lee Auto Malls. Menke, of Auburn, has worked for the auto dealer group for nearly 25 years. Most recently, he served as general manager of Lee’s operations in Auburn. 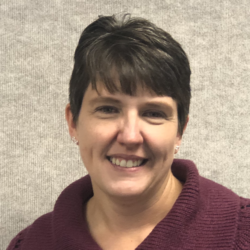 Karla Brannon, a tax manager for Albin, Randall & Bennett, has been named one of three recipients of the Maine Society of Certified Accountants’ 2018 Women to Watch Award. Brannon was recognized for “her outstanding contributions to the accounting profession, her community, and her workplace, as well as her demonstrated leadership among the professional women of the accounting profession,” a news release said. 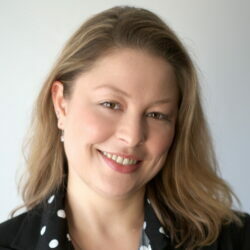 Megan Williams, executive director of United Midcoast Charities, has earned a certificate in nonprofit management through the Maine Association of Nonprofits in partnership with MindEdge Learning. Williams joined United Midcoast Charities in 2017. Gary Plummer, a former legislator and retired educator; Hilda Sastre, commercial marketing manager at IDEXX Laboratories; and James Small, regional market manager for Whirpool USA. They join current board members: Linda Baker, Janis Childs, Cynthia Cyr, Casey Etter-Bobb, Steve Flynn, Emily Dickinson Leete, Carissa Robb and Allan Shepard.